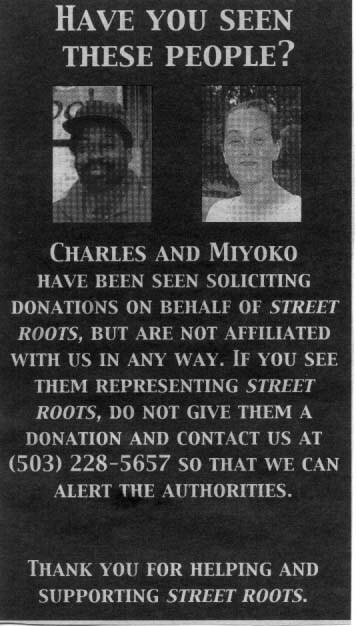 Beware of those soliciting funds in and around Portland in Dignity's name! Apparently there are unscrupulous individuals out there knocking on doors and asking for money, claiming to represent Dignity Village which they DO NOT. The best way to help fund our effort is to donate online. And as Dignity's a non-profit tentcity, donating to Dignity is a good way to vote with your tax dollar as all donations are tax-deductible. We thank you for your time and help.